Cover skillet with a tight-fitting lid. Reduce heat to low; cook for 10 minutes. Do not lift lid. Turn off heat. Let rest for 10 minutes without removing lid. Check temperature. If below 165 degrees F in thickest part, return to low heat until temperature reaches 165 degrees. Refrigerate leftovers within 2 hours or freeze for longer storage. 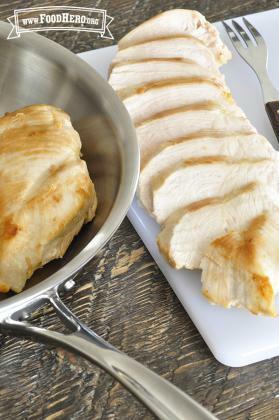 1 Comments for "Skillet-Braised Chicken"